Build your own Teddy bear party with our unstuffed animals, clothing and accessories. We offer bulk discounts and wholesale pricing on all of our stuffable animals. The more you buy the more you save! Choose from dozens of styles available in 2 sizes. A fun activity for ALL ages. Just fill with fluff, stuff and close (no sewing required). Our NO SEW budget friendly stuffable animal kits allow you to host your party (or event) from any location. Hand stuffed animals are ideal for parties, fundraisers, parties, group activities, corporate events, Holiday gatherings, and gifts. 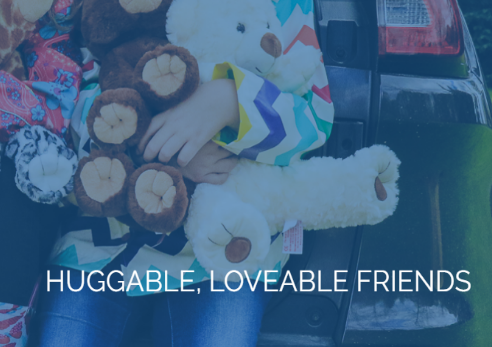 Hand stuffed animals are truly special because (you) or your child can create a cherished friend. Our NO SEW hand stuffed animals are made of the highest quality materials, super soft fabrics and are safe for kids. They have an internal pocket in the back allowing you to add the stuffing. Each animal skin has either a zipper, or zip tie closure as well as a velcro closure for a seamless look! Stuff your own animals with our stuffable animal kits. 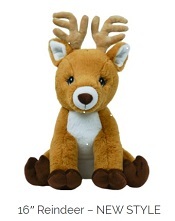 Wholesale unstuffed animals for parties, fundraisers, events, gifts. We offer bulk discounts on all of our stuffable animal kits. The more you buy, the more you save. Choose from dozens of styles available in 2 sizes. Wholesale Teddy Bear T-shirts Pants, Skirts. Wholesale Teddy Bear Tee shirts and plush animal clothing. Mini T-shirts for fundraisers and Bear party crafts. Our shirts will fit our unstuffed animals, Build a bear� and other stuffable plush. These items will fit 14"-17" plush stuffed animals. Teddy bear clothes, shoes and accessories. Bear clothing for stuffable animals, plush stuffed animals and collectible bears. Wholesale Bear clothes for BUILD A BEAR WORKSHOP� animals, unstuffed bears and our stuffable plush. We offer a variety of Stuffed animal clothing, accessories and supplies. VISA/MASTERCARD ~ DISCOVER ~ AMERICAN EXPRESS and PAYPAL!